Virginia’s New River Valley will have an interactive tailgate this Saturday, October 21 preceding the Virginia Tech Homecoming football game. 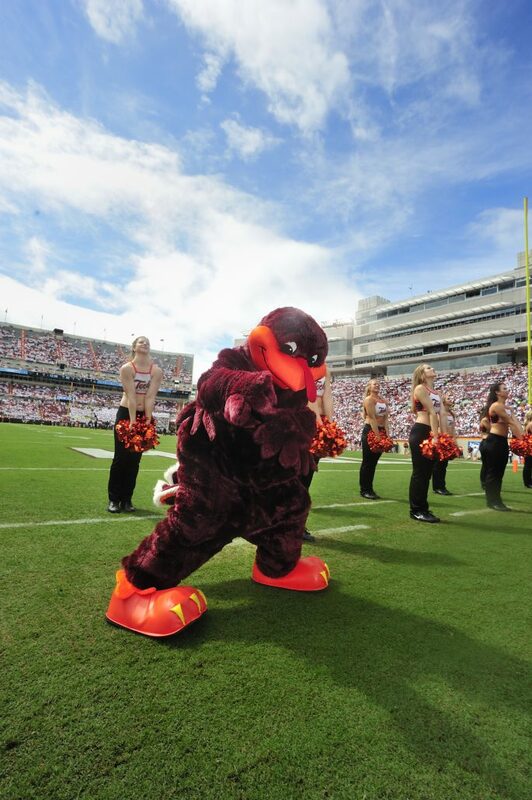 Join the NRV to cheer on the Hokies and win some prizes for you and your family! The Tailgate will be located on Cassell Drive off Beamer Way — the perfect spot to stop by on your way to Lane Stadium. Sign up for the New River Raffle to win a bursting basket of your favorite local goods. Signing up also gets you a spin at the NRV prize wheel and an extra chance to win tons of great game day prizes like t-shirts, pom-poms, and candy. Visitors can also battle friends and family at the NRV corn hole boards. Plus, don’t forget your free stickers on the way out! The display will also feature plenty of information about why the NRV is a great place to live, work, and do business. https://www.newrivervalleyva.org/wp-content/uploads/2017/10/VT107703_20144039a0239.jpg 2048 1363 Abigail Hammack https://www.newrivervalleyva.org/wp-content/uploads/2017/05/logo.png Abigail Hammack2017-10-18 09:47:092017-10-18 09:50:32Visit the NRV Tailgate at VT Homecoming!